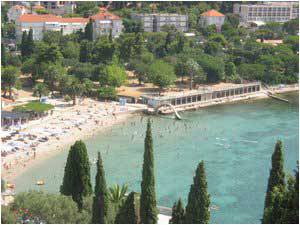 Beach Banje is located in the vicinity of the Old Town. This large pebble beach will allow you to have amazing view to the City walls, Old Town Dubrovnik and the island of Lokrum. 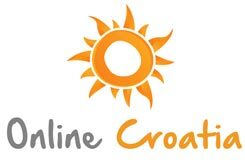 On the beach Banje one can enjoy many facilities such as beach volleyball, water polo and many other water sports. One can also enjoy lying on deck chairs and drinking one of great selection of drinks offered by the nearby restaurant and lounge bar. Beach Dance is concrete beach in the vicinity of Dubrovnik Old Town . This beach extends towards the open sea and sea is always crystal clear. We recommend this beach to those braver and with more experience because the waves on this beach can be really high. From the beach Dance you can enjoy in one more specificity of Dubrovnik - it is old tradition in Dubrovnik that the nuns hear the bells from the nearby church waving at passing ships. This tradition dates from the times when this was the only way of communication. 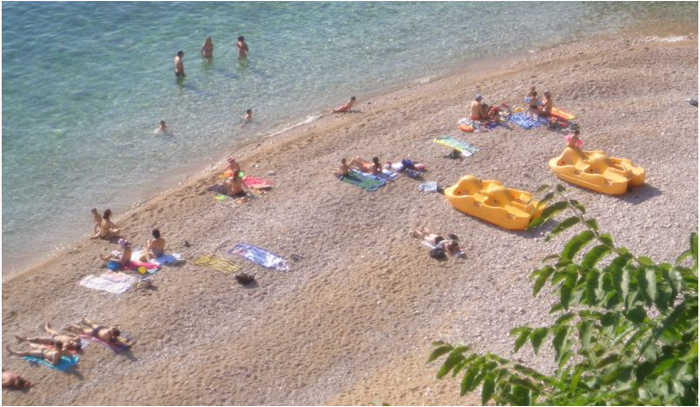 The beach Copacabana is situated in part of Dubrovnik called Lapad. From this beach you can enjoy amazing view to Dubrovnik Bridge which is by its construction unique in the whole world. 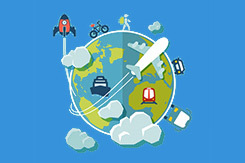 This large pebble beach offers you really great selection of facilities: you can enjoy in jet skiing, water skiing, in popular banana ride, parachute ride ... It is very popular to rent-a- kayak and pass the whole Lapad peninsula with it. This beach is perfect choice for children who can enjoy playing in ford and for adults, there is cafe bar and restaurant. Beach Copacabana is also equipped with special aids for people with disabilities. At the end of long walking trail, fill with cafe bars and restaurants, you will see many popular pebble beaches known as Lapad beaches. Those beaches are really beautiful and gladly visited. 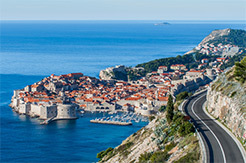 Lapad is definitely one of the most beautiful parts of Dubrovnik and you really must visit it. Beach of the hotel Neptun is one of the most beautiful beaches in Dubrovnik and it is situated on Lapad peninsula, in the part called Babin Kuk. This beach is perfect for those who want to enjoy being isolated on concrete beach. 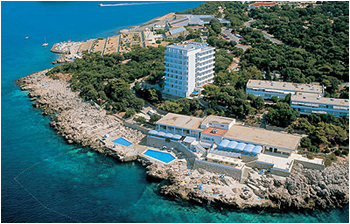 Above the beach there is a cafe bar, restaurant, and swimming pools of the hotel Neptun. Although it is hotel beach, beach Neptun has free entrance for all tourists. 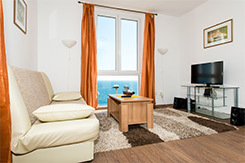 Beach of the hotel President is situated in vicinity of the hotel Neptun beach. From this sandy- pebble beach you can enjoy in amazing view on the open sea and the island of Kolocep. 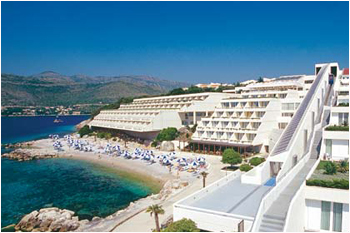 Beach of the hotel Bellevue is situated in beautiful bay on the part of Dubrovnik called Gorica Svetog Vlaha(Saint Blaise's hill). 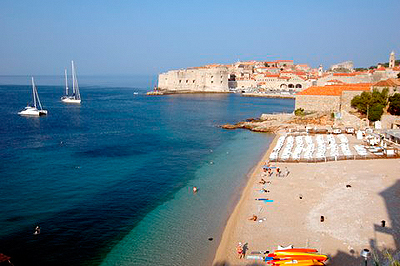 This is one of the most visited Dubrovnik beaches. It is pebble beach and it is most sunny in the morning or in the early afternoon. You can enjoy lying in the deck chair or in the ford, sitting in the cafe bar which is exactly on the beach and will offer you refreshment at hot summer afternoons. 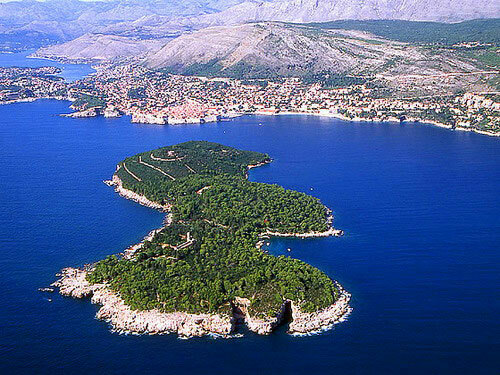 The only nudist beach in Dubrovnik is located on the Lokrum Island. 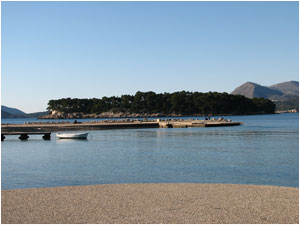 Beach on the island of Lokrum is placed just 5 to 10 minutes walking from the dock. Lokrum is one of the favorite nudist's destinations for swimming because except the nudist beach you can visit also some secluded rocks.